Did you know that according to the American Academy of Dermatology, acne is the number one skin problem in the U.S.? In fact, as many as 50 million people are thought to suffer from the condition at any time – including teens, adults, and even babies. Of those, 17 million are thought to have acne on an ongoing basis. It can strike anyone at anytime. Even adults who have never had skin problems can suddenly be stricken with adult-onset acne. The AAD reports that adult-onset acne can occur as late as menopause when many women are experiencing skin problems as a result of hormonal changes. 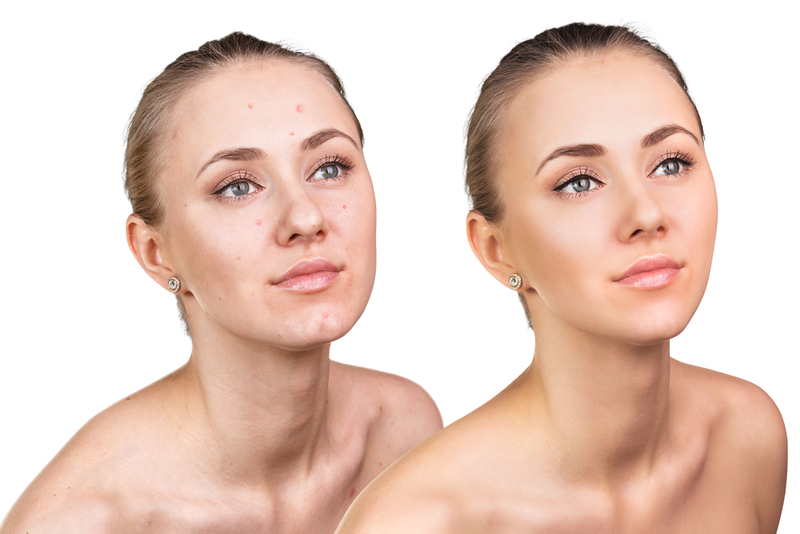 You may be a candidate for professional acne treatment if you are bothered by skin blemishes, pimples, cysts, or nodules that do not respond to over-the-counter acne treatments. An esthetician can provide a prescription or in-office treatments that will provide significant results in as little as a few weeks. Your esthetician will analyze your skin and ask you questions about your acne, such as when it first appeared. Based on your initial exam, your esthetician will ‘grade’ your acne between 1 and 4, with 1 representing the mildest acne and 4 representing the most severe cases. Your treatment will depend on the severity of your acne and what types of treatments you have already tried. More than likely, you’ll be prescribed a topical acne treatment to either kill bacteria or minimize oil. However, you may also be given oral medications to help control acne, such as an antibiotic, birth control pills, or isotretinoin. Office therapies, such as light therapy, may also prove beneficial. Yes, there are plenty of steps you can take to help minimize acne. Be sure to keep your skin clean by washing it twice daily and after working out. Avoid picking at your skin or blemishes and instead allow them to heal naturally. Also, use gentle, alcohol-free products on your skin, being careful to avoid scrubbing too harshly.